Ever heard of Dwarfstar Games? 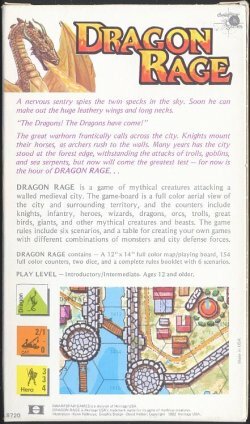 I hadn’t either, but it turns out they released eight rather quirky little strategy games in the early 1980s, all most of which are now available for free download. Most of them look like fairly short and straightforward strategy games, with an obvious wargame influence–the hexgrid maps and cardboard chits are a dead giveaway. Downloading digital scans of the game maps and playing pieces isn’t quite as cool as actually owning the physical thing, of course, but for $10 or so at your local copy shop, you could probably recreate a fashionably old-school physical copy of the games. Might be a fun change of pace from all those new-fangled, high-production-quality games you kids are playing these days.